Lake Champlain is vast. Well not like Lake Baikal in Siberia or Lake Superior along the US-Canadian border, but large enough to provide outdoor activities for all levels of outdoor enthusiasts. If you are more interested in the resort feel of the Adirondacks then come north on I-87, eventually peeling off on highway 9N at Lake George. 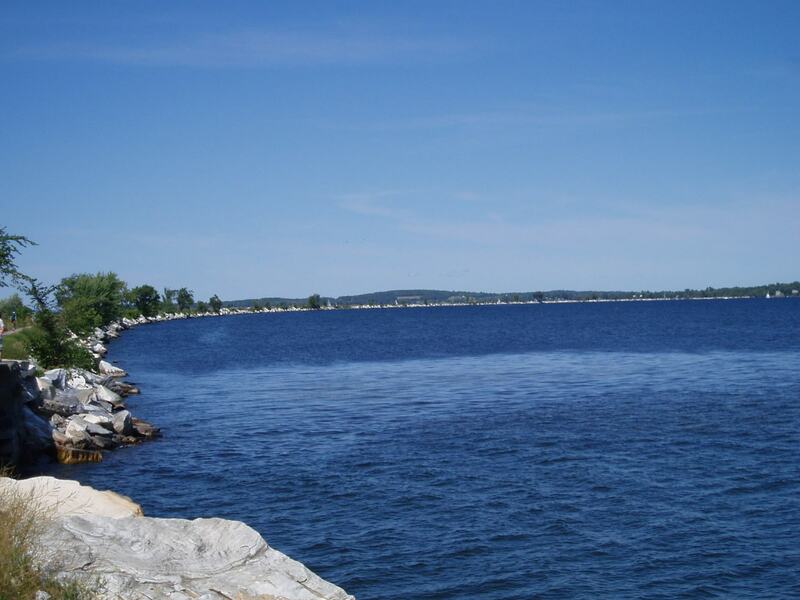 There are several vacation resort towns along both Lake George and Lake Champlain as you head north, boasting innumerable bed and breakfasts as you wend your way lakeside. It is tempting to float westward into the heart of the Adirondacks along 9N (if you have two extra days then do it), but instead get onto highway 22 at Westport and continue along the lake, peeling off on highway 9. View the Ausable Chasm (quite impressive) and then head to the ferry at Port Kent. After depositing the proverbial arm and leg at the ticket booth, ride the ferry across to Burlington. If you’ve never experienced the New England college-tourist town hybrid, then you are in for a treat. You can literally spend two days in town, there are so many fun and quirky things to do. Rent a bike and head north along the trail that eventually leads you onto the causeway that has you literally pedaling in the middle of Lake Champlain. 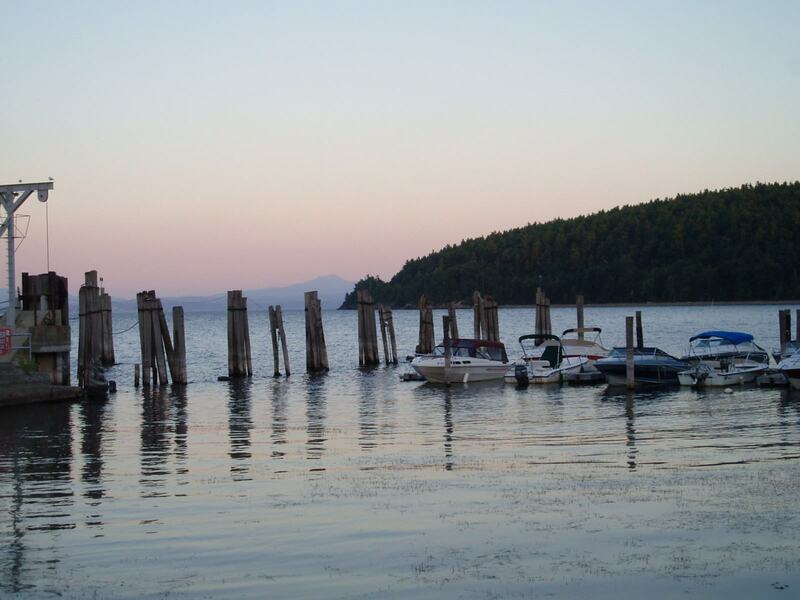 You can also head east, via auto, to both Camels Hump (south of I-89) or Mount Mansfield (north of I-89) for some good day hiking and great views of Lake Champlain. If you want a great view but want to drive to the peak then head up to Mt Philo, south along highway 7. Also along highway 7 is the secluded and very homey Willow Pond Farm Bed and Breakfast. Any time of year is great to experience this wonderful area.